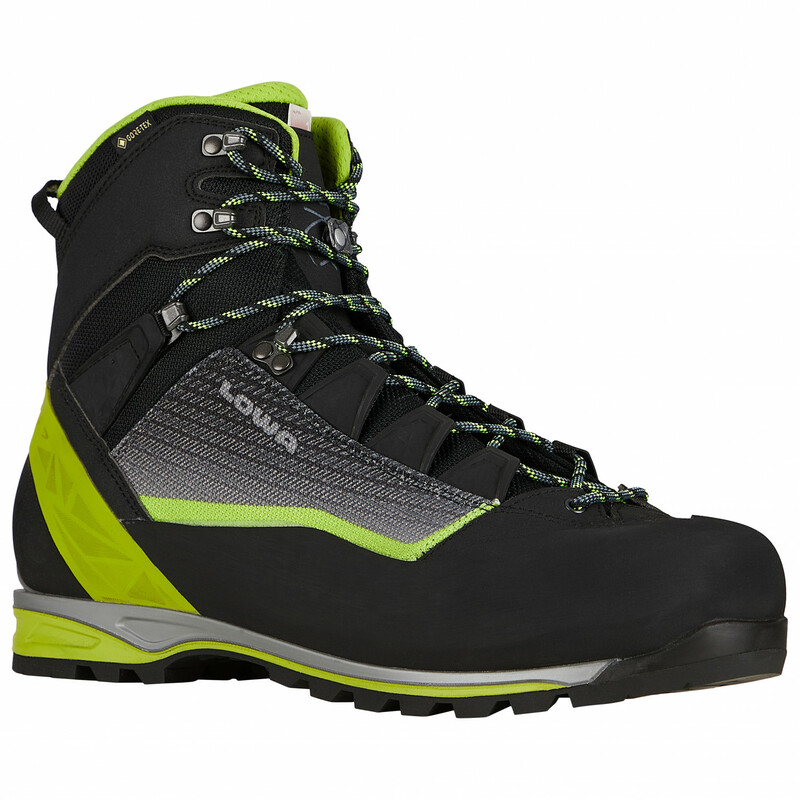 The Lowa Alpine Pro GTX is part of a particular generation of mountaineering boots that always seems to live up to the ever-increasing standards of alpinists. 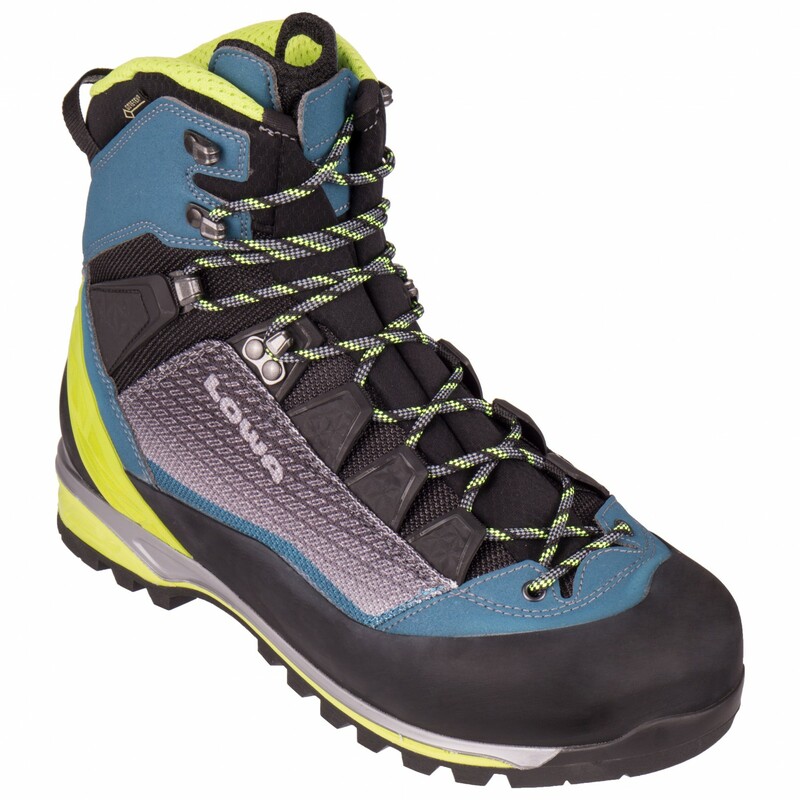 Regardless of whether you're planning a difficult mountain or via ferrata adventure, the Alpine Pro GTX will give you the comfort and security you need in a mountaineering boot. 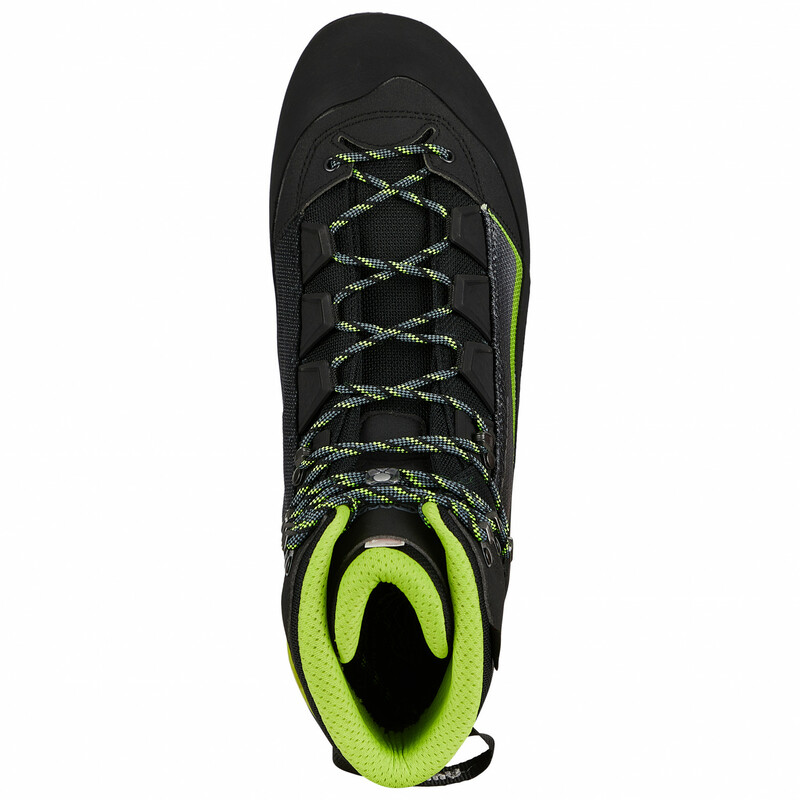 It boasts a minimalistic sole that will provide more stability and ground sensitivity. What's more, the insole contains an integrated cushioning element that serves to prevent premature fatigue - perfect for long tours with a heavy pack on your back! The shortened toe cap will enable the shoe to get 'close to the rock'. Plus, there is a climbing zone for short climbing sections as well. If it starts to rain, no need to worry: the boot is equipped with Gore-Tex, making it waterproof. 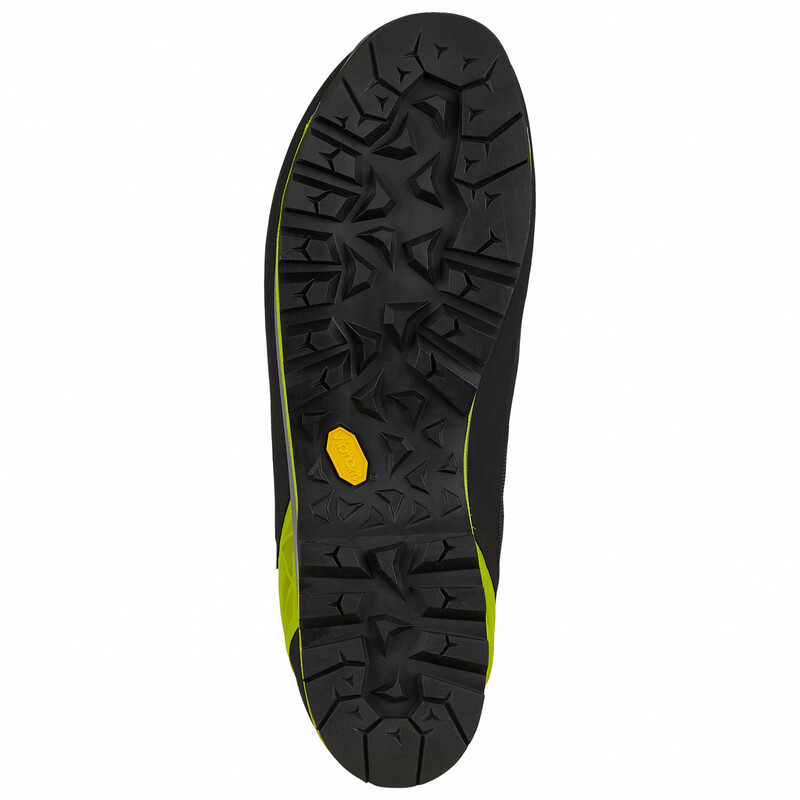 There is also a heel groove for crampons. 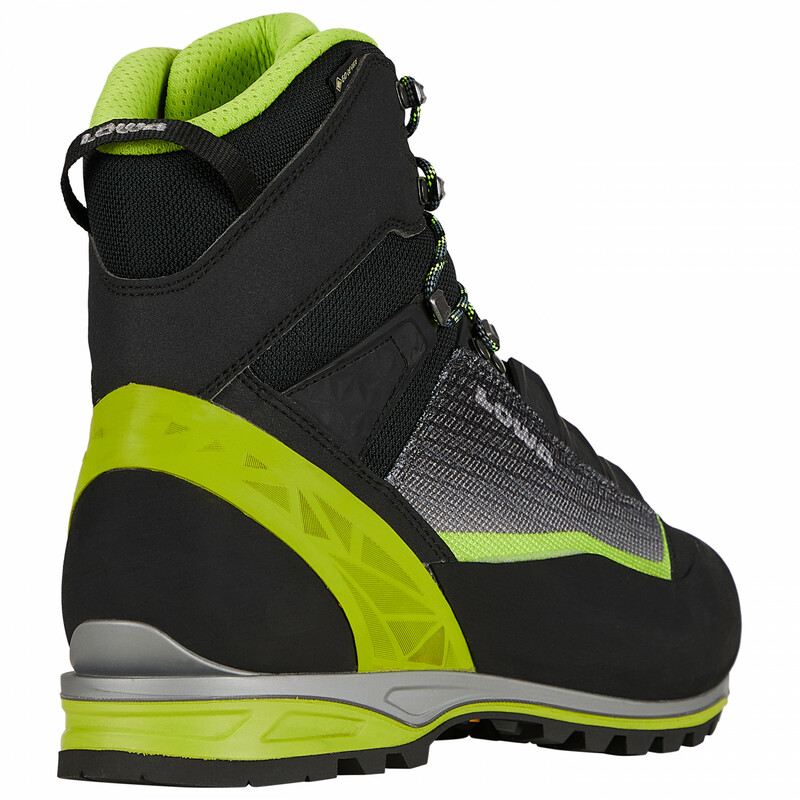 So, you'll be perfectly equipped for glaciers and high-altitude mountaineering. All that at a lower weight and with very modern, breathable materials! 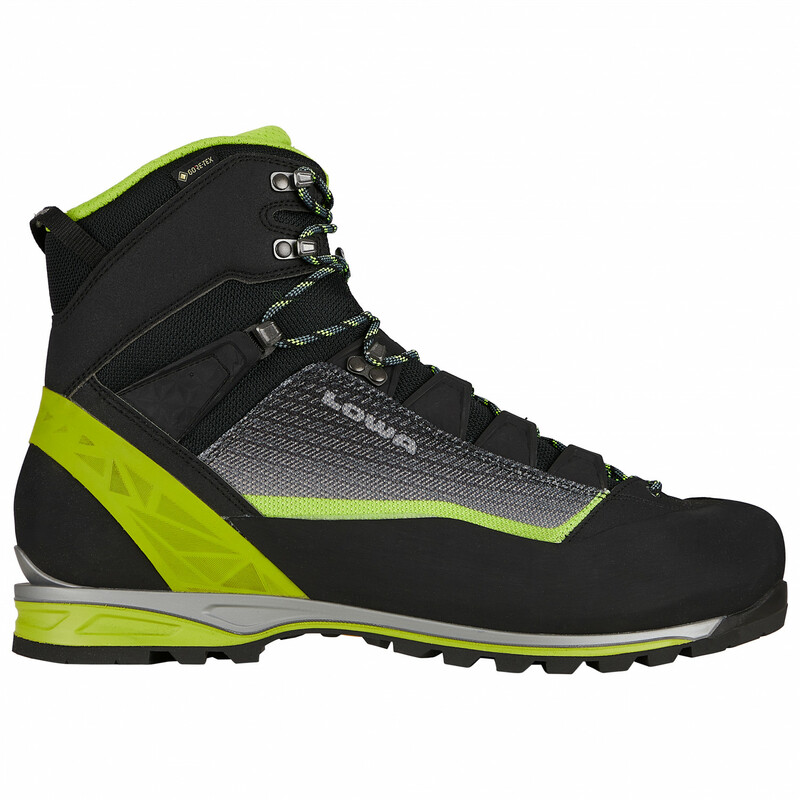 This makes the Lowa Alpine Pro GTX a high-end and very well-constructed technical mountaineering boot that professionals can rely on!